Since the overthrow of Muammar Gaddafi in 2011, Libya has turned into a transit point, through which 650,000 refugees have already reached Italy from Africa. "It is clearly now undeniable that this country (Libya) finds itself in this situation because someone, in 2011, put their own interests ahead of those of the Libyan people and of Europe itself," Italian Defense Minister Elisabetta Trenta wrote on Facebook. "France, from this point of view, is partly to blame," she added. Italian parliamentary speaker Roberto Fico was even more explicit, pointing to "a serious problem that has come from France." Italy's Deputy Prime Minister Matteo Salvini also chimed in, blaming former French President Nicolas Sarkozy for unleashing the war in Libya and the present government for adding fuel to the flames of the Libyan conflict. Italians are filled with nostalgia each time they recall the time when Rome and Tripoli signed an agreement to allow Italian companies to extract oil in Libya. The Gaddafi government was holding back the flow of migrants to Europe and the country’s GDP was the second biggest in Africa and the first among the Arabic-speaking states of the Maghreb. 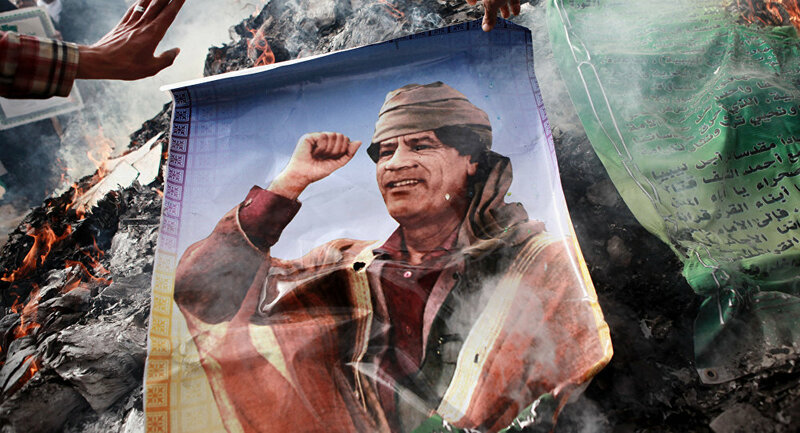 In Rome, the emphasis is that the decision to overthrow Gaddafi was made without taking into account the views of Italy. Seven years on, the French look equally unenthusiastic about the so-called “Libyan Revolution,” with President Emmanuel Macron admitting that the intervention was a mistake. "I remember how some people decided to get rid of the Libyan leader without having any action plan for the future. We plunged Libya into a situation of lawlessness without having a chance to rectify the situation," Macron said when speaking in the Tunisian parliament earlier this year. Paris is trying to reconcile the two hostile centers of power in Libya — the UN-recognized government of Faiz Saraj in Tripoli, and General Khalifa Haftar’s supporters in the east of the country. Even though a series of French-mediated negotiations held earlier this year set the date of a nationwide vote, the prospects for reconciliation remain unclear with the Tripoli-based government lacking the military muscle to put an end to the excesses committed by rival groups and General Haftar refusing to give up his power in the east. 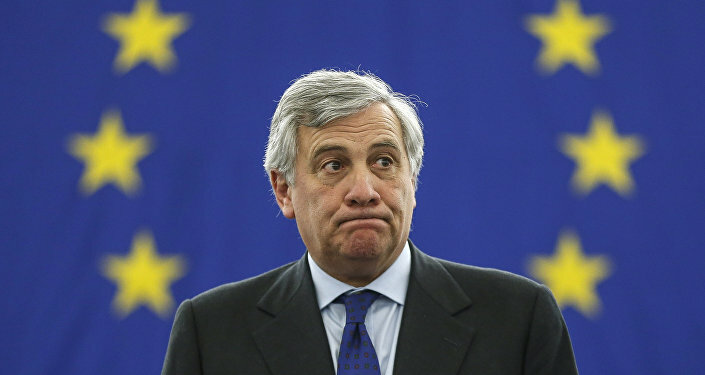 Meanwhile, tribes and criminal gangs, associated with the mafia of guides, who take money for helping would-be asylum seekers from sub-Saharan regions to reach the EU countries, rule supreme. Not all migrants manage to get to Europe, though. Many of the Africans who settle in Libya end up in local slave markets. Historically, France and Italy have been Libya’s main partners in the West. These days, however, Rome and Paris cannot agree on how to restore order in North Africa. The Italians are wary of new migrants coming in, fearing that given the country’s low birth rate, a massive influx of refugees could change the ethnic face of Italy. Even before the government of nationalists and anti-globalists came to power this year, Rome had been trying to reach an agreement with influential leaders in Libya to stem the flow of immigrants. Some successes were achieved by Minister of the Interior Marco Minnitti after the government in Tripoli agreed to deter illegal immigrants. In addition, Italy reportedly paid individual Libyan groups to do the same. But the Libyans went overboard while doing this, prompting condemnation from humanitarian organizations monitoring the state of affairs in the Mediterranean. Faced with a massive and uncontrolled influx of migrants from Africa, in addition to those streaming in from the Middle East, the EU countries want to see a strong and predictable government at the helm in Libya. Libya is at a crossroads and the future of Europe very much depends on how the North African country disposes of its geopolitical position, Sergei Gashkov concluded.